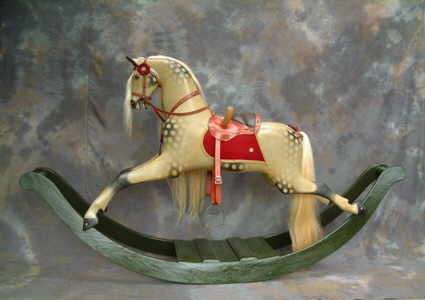 Antique Rocking horse - attributed to Wilson. Antique Horse Attributed to Wilson c1870. This horse carries all the characteristics of being a Wilson horse, however there are no identifying marks as is the case with most antique horses. His age is definitely mid-Victorian hence c1870.